Directors/Producers: Justine Kershaw, Sarah Williams, and Jeremy Bradshaw. 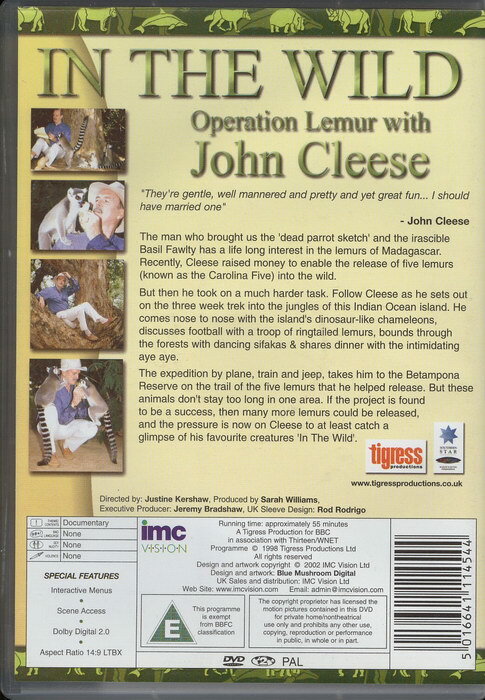 A natural history documentary following British comedian John Cleese as he travels to see Black-and-White Ruffed Lemurs in their native habitat in Madagascar. The man who brought us the 'dead parrot sketch' and the irascible Basil Fawlty has a life long interest in the lemurs of Madagascar. Recently, Cleese raised money to enable the release of five lemurs (known as the Carolina Five) into the wild. But then he took on a much harder task. Follow Cleese as he sets out on the three week trek into the jungles of this Indian Ocean island. He comes nose to nose with the island's dinosaur-like chameleons, discusses football with a troop of ringtailed lemus, bounds through the forests with dancing sifakas & shares dinner with the intimidating aye aye. The expedition by plane, train and jeep, takes him to the Betampona Reserve on the trail of the five lemurs that he helped release. But these animals don't stay too long in one area. 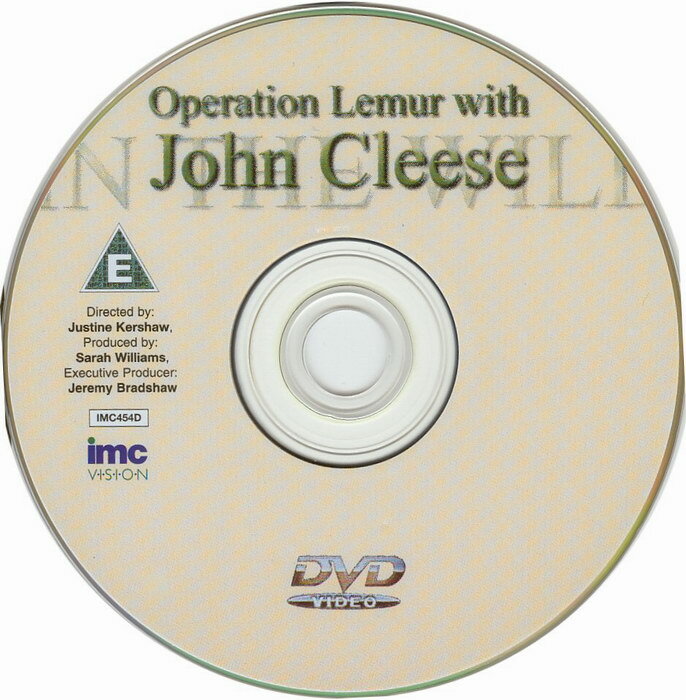 If the project is found to be a success, than many more lemurs could be released, and the pressure is now on Cleese to at least catch a glimpse of his favourite creatures 'In The Wild'.